St. Dom's senior makes quick work in round of 32. 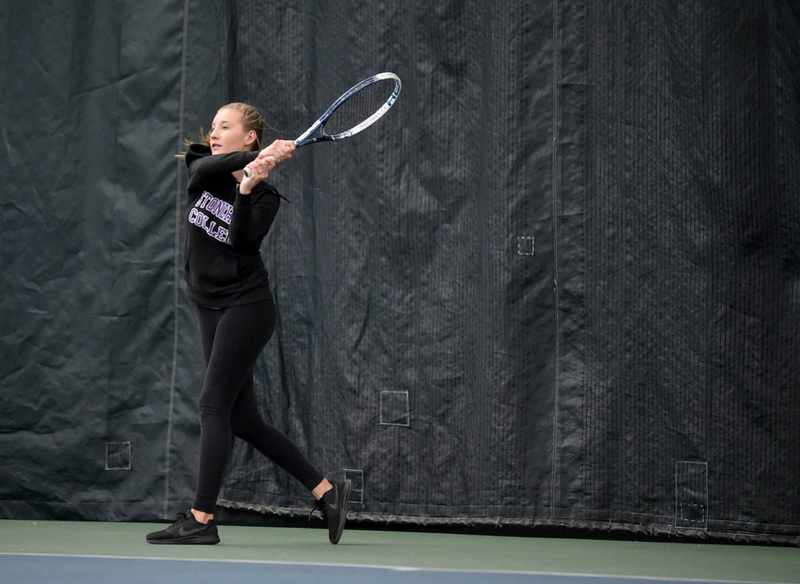 PORTLAND — Bethany Hammond played her round of 32 match in the state high school singles tournament quickly, as if she had someplace to be. “I have graduation now,” Hammond, a senior at St. Dominic High School and a Belgrade native, said. Hammond’s graduation march began with a speedy victory lap at the Portland Racket and Fitness Center. Hammond, the No. 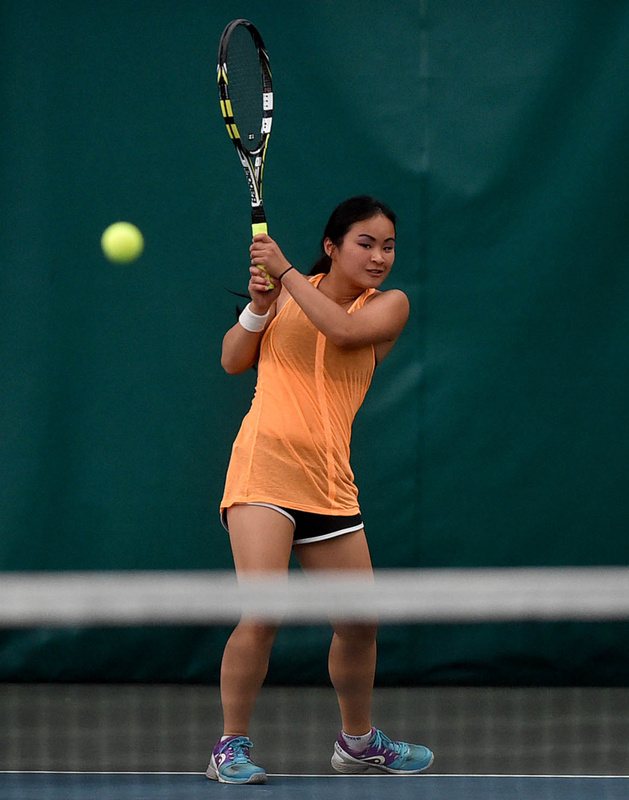 3 seed on the girls side, defeated Litzy Michaud of Lewiston, 6-0, 6-0, to advance to Saturday’s round of 16. Hammond will take on Eva Sachs of Thornton, Saturday at 10:45 a.m., in the round of 16 at Colby College in Waterville. 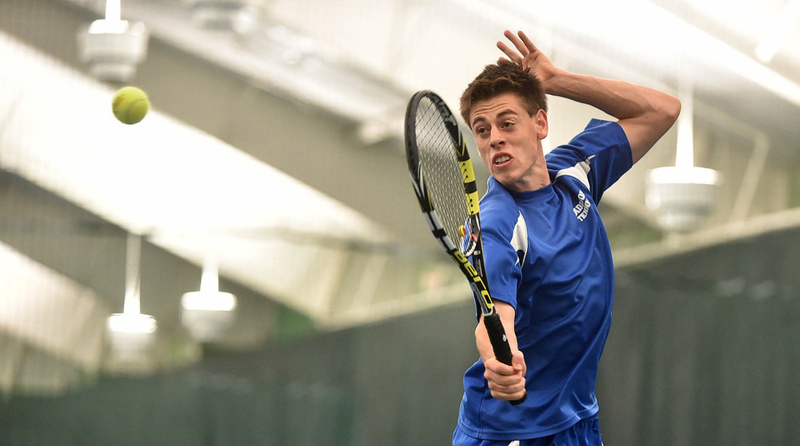 Sachs advanced with a 6-4, 6-0 win over Linda Vrbova of Maine Central Institute. 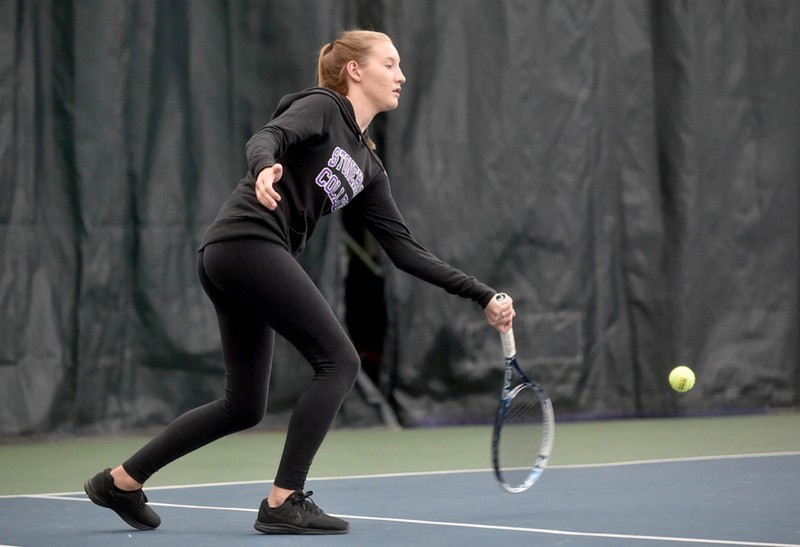 Vrbova earned a victory of Winthrop’s Megan Chamberland in the round of 48, 7-5, 6-2. Although she made quick work of Michaud, Hammond didn’t look past her opponent. 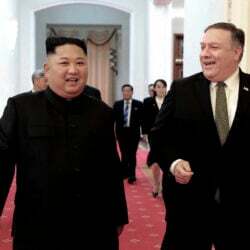 “I think anybody on any given day can give you a tough match,” Hammond said. 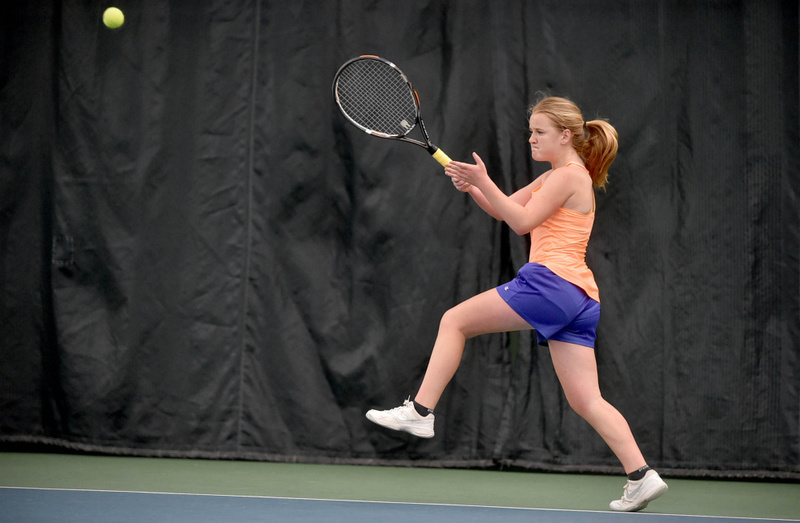 Erskine sophomore Ellie Hodgkin advanced to the round of 32 with a tough, three-set win over Hampden’s Aubra Linn. Hodgkin took the first set, 6-3, before Linn evened the match with a 6-2 win in the second set. “It was really tough. I was a little nervous during the first two games we played because we played right in front of the people, but I regained my confidence. In the second set, I think I just lost my focus,” Hodgkin said. Hodgkin regained her focus to take the deciding set, 6-2. “I was determined to win that set,” she said. 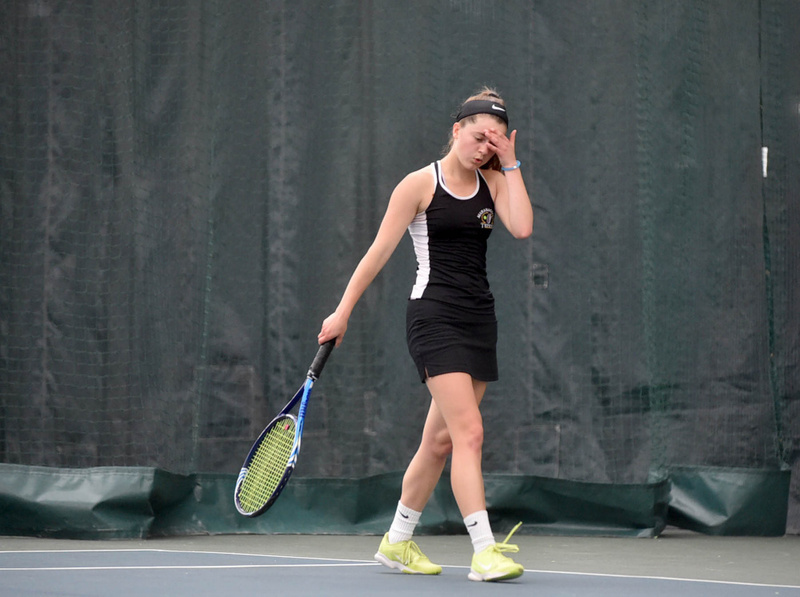 In the next round, Hodgkin ran into Caribou’s Ashley Matlock, who took the match in straight sets, 7-5, 6-3. Hodgkin’s goal was to reach the round of 32, repeating her performance from last season, which she did. Still, the loss to Matlock was disappointing. Also in the round of 32, Meredith Kelley of Falmouth upset No. 11 Katrina Mason of Carrabec, 6-1, 6-4. 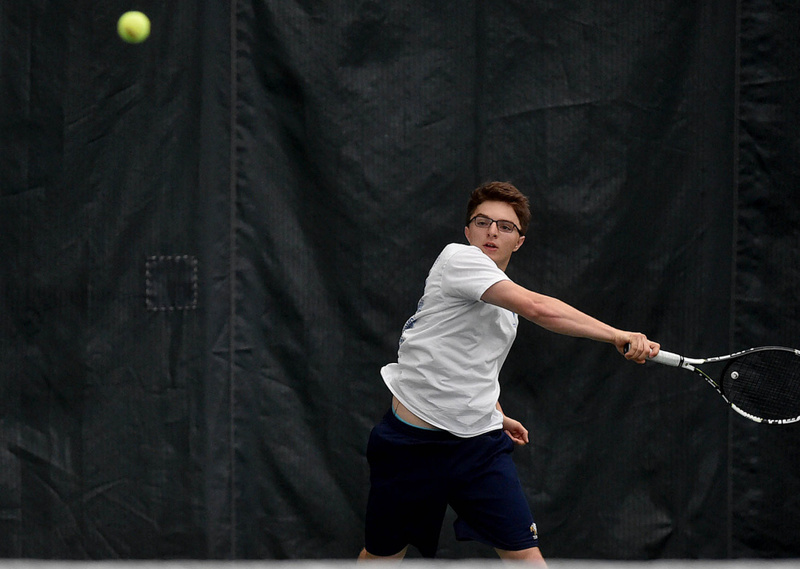 On the boys side, Hall-Dale’s Malcolm Avore earned a bye into the round of 32, where he lost a tight match to Parker Deprey of Caribou, 6-3, 7-5. Avore and Deprey had numerous long exchanges throughout their match, as each seemed content to wait for the other to slip up. 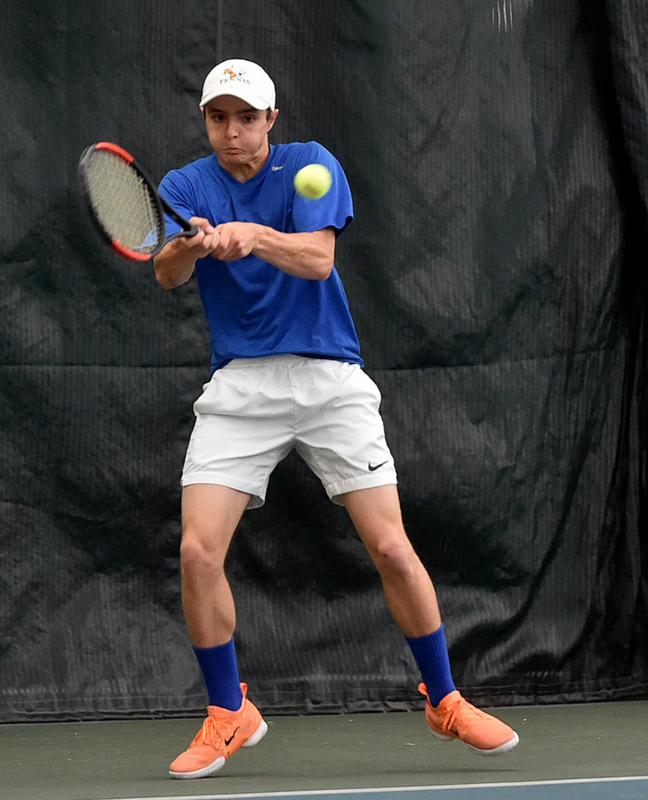 Deprey led the second set 4-1 and 5-3, only to see Avore rally to tie it at 5-5 before winning a pair of sets to claim the match. Deprey’s serve was the difference in the lasts set, as Avore was unable to return a shot inbounds on four consecutive serves to end the match. 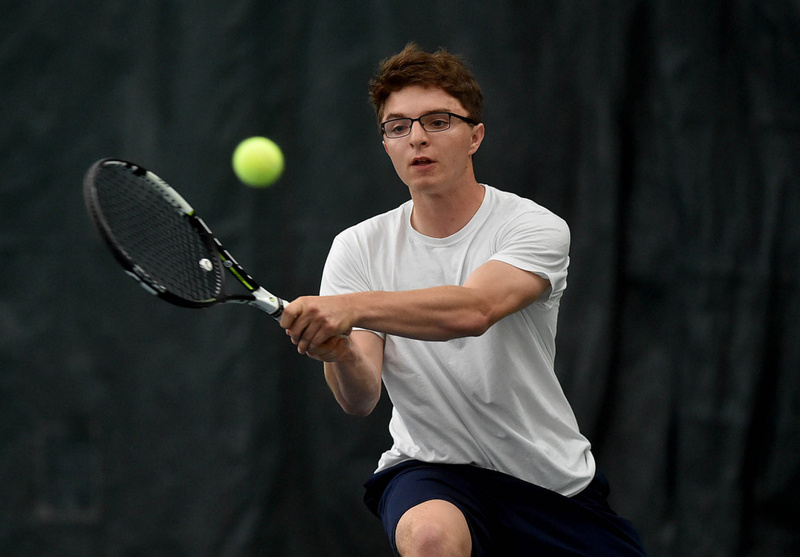 Also in the boys tournament, Waynflete’s Brandon Ameglio defeated Mt. 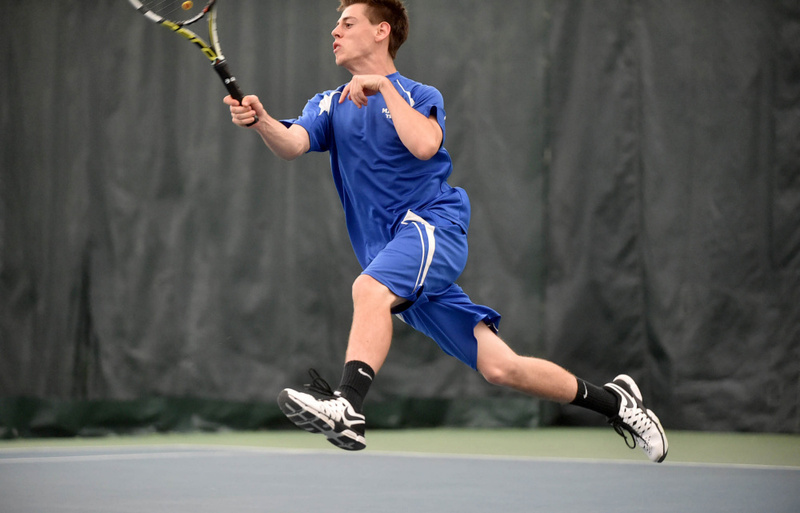 Blue’s Tom Marshall, 6-1, 6-1. 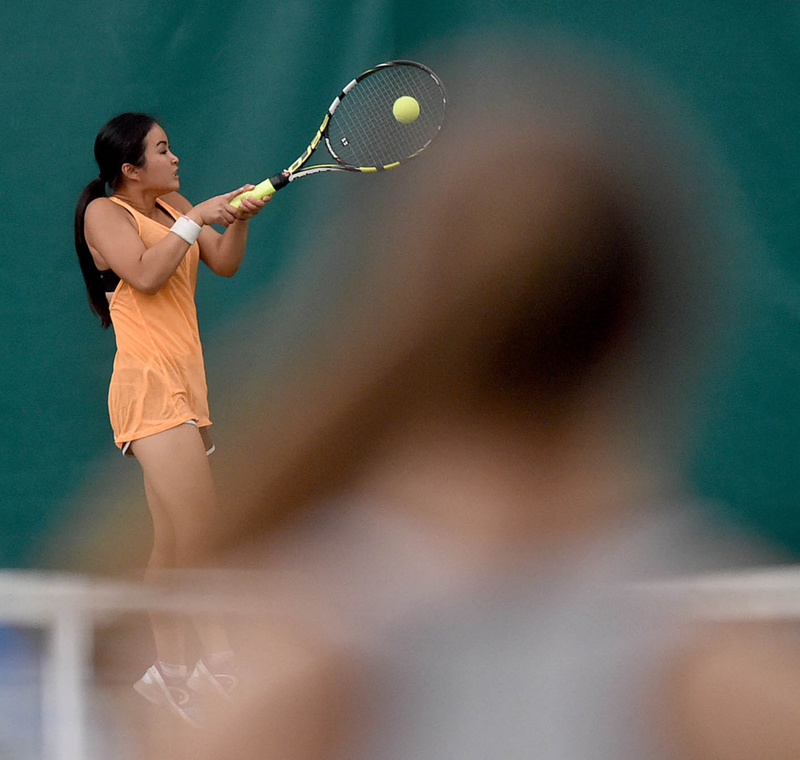 On the girls side in the round of 48, Lauren Paradise of Portland beat Hall-Dale’s Rose Warren, 6-3, 6-0. 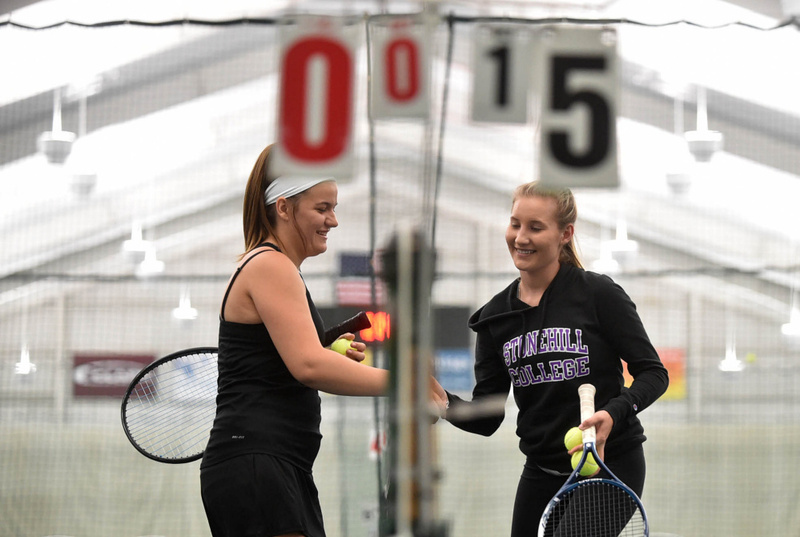 Gorham’s Whitney King defeated Erskine’s Regina Harmon, 6-3, 6-3. 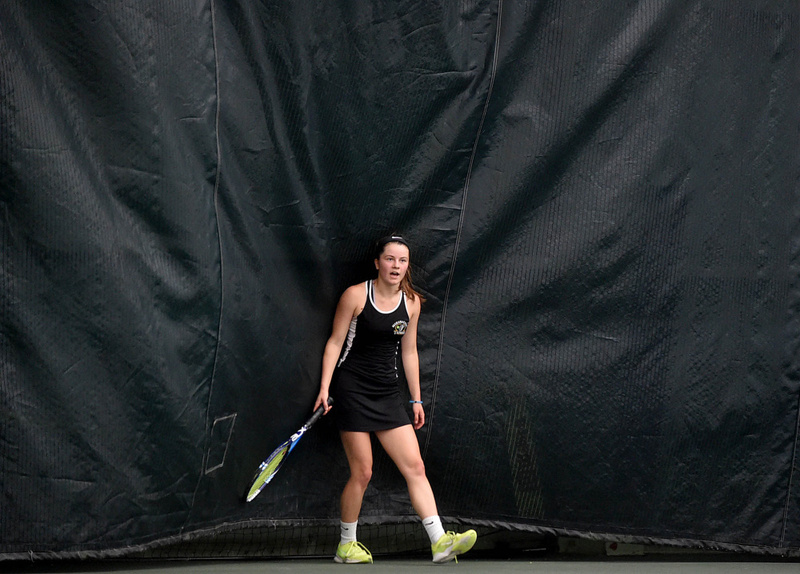 Ashley Levesque of Scarborough beat Maranacook’s Madelyn Dwyer, 6-3, 6-2. 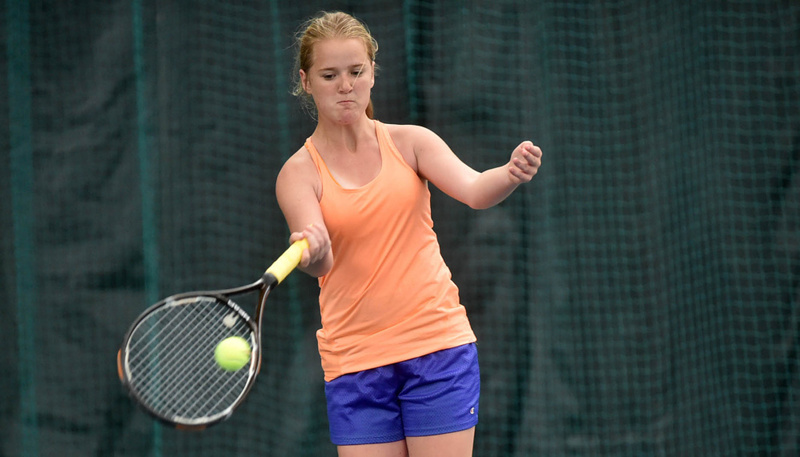 Brunswick’s Anna Parker took a tough, three-set match over Winthrop’s Sarah Spahr, 4-6, 6-3, 6-0. 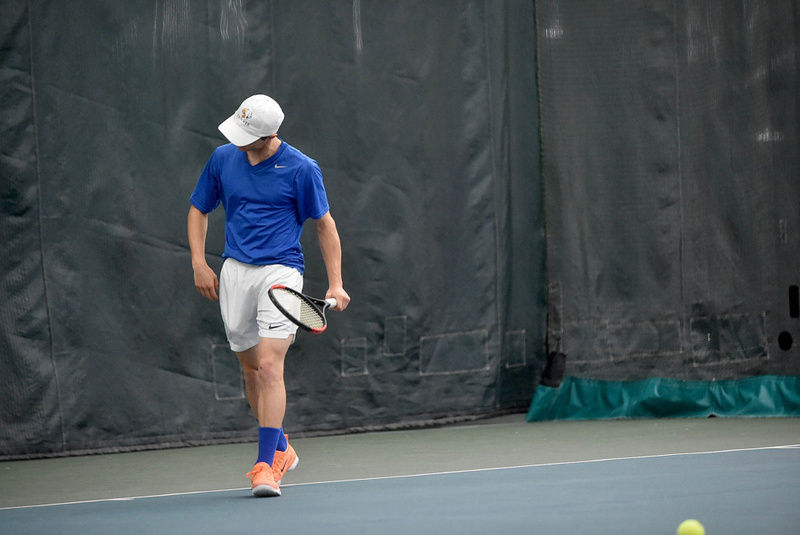 In the boys round of 48, Maxime Simonneau of Hampden beat Madison’s Steven Ouellette, 6-1, 7-5. Lincoln Sullivan of Brunswick defeated Chris Marshall of Mt. Blue, 6-2, 6-3.